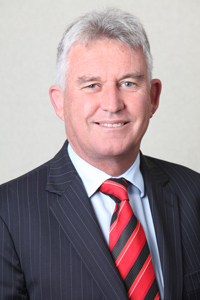 Richard originally came from Lower Hutt and graduated from Victoria University, where he obtained his Law degree. He worked for two years in Wellington before moving to Morrinsville and joining the firm in 1976, which was at that time known as Brake and Cables. He became a partner of the firm in 1978, when the firm became known as Brake, Rae & Co.
Outside of work, Richard is married and has three adult children, one of whom is also a lawyer. He is interested in all sports.